Title Town Partners, with over 70+ years of combined experience, prides ourselves in providing our customers with affordable and superior full service for the closing of their home or commercial building along with escrow services. Our office is located in Northern Pinellas County but we cover the entire Tampa Bay area including Pasco County, Hillsborough County and Hernando County. Our efficient full time staff has been hand picked among the industry professionals and are dedicated to supporting our high standards of operation for each and every closing. We provide mobile and remote closings at your request should the distance to our office not be convenient. Our team can handle any and all requests that you may have. You can count on us to get the job done right. 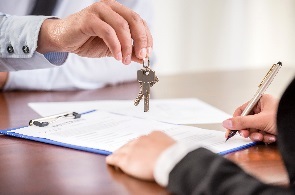 As a seller, making sure your sale closes smoothly and efficiently is one reason to choose an established company with a long history in the real estate process. Our job as your title company is to make sure the property title is clear and legitimate, that no other individual or entity has any claim, right, or interest of any kind whatsoever in the property being conveyed, in order that the seller is wholly released from all obligations concerning the property and the buyer can be confident that he or she has purchased the property exclusive of any other adverse interests. To ensure that clear title is conveyed at closing, we conduct a comprehensive and thorough title search and examination of all available property records Our title examination then allows us to issue the buyer a title insurance policy, which protects the buyer against financial loss from defects in title to the property.